Easily one of the coolest filmmakers we’ve chatted with, Aronofsky had long been wanting to do a new movie based on the long-running Japanese manga series "Lone Wolf and Cub" by Kazuo Koike and Goseki Kojima, and being that The Wolverine is based on the Frank Miller mini-series and is mainly set in Japan, we wondered whether he might be able to get some of what he wanted to do with that movie out of his system with the new Wolverine flick. "There’s all the samurai elements that are really exciting," he told us. "I’m a big fan of Japanese movies, we’re going to try to have a good time." Aronofsky confirmed that he’ll be casting a lot of Japanese actors, but is still unsure whether they’ll be speaking in Japanese or English. "It’s still under discussion, we’ll see what happens," he said about that. 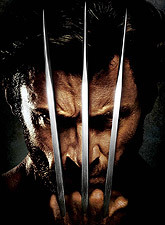 Not everyone was a fan of Gavin Hood’s previous movie X-Men Origins: Wolverine, which partly suffered from nearly half a dozen writers (not all credited) being involved with the screenplay, but clearly, this movie should be different going by what we were told. "Chris McQuarrie wrote a great screenplay. We’re trying to get it into a slightly better place but he’s working on it, and I think it’ll be easy to fix. Chris is an amazing writer and I’m very lucky to have him as a collaborator." The thing to remember is that Aronofsky’s main focus for the next three months will be making sure people go to see his new movie Black Swan, and because of that, he hasn’t spent a lot of time on developing The Wolverine just yet. "Literally, we haven’t even started to gear up. I’m at the same studio and the film comes out December 3, so they know I’m busy until then," he said. A press release from 20th Century Fox about their new deal with Aronofsky’s production company Protozoa stated that filming would start in April. Our one less-than-subtle attempt to find out if Liev Schreiber might make a cameo as Sabretooth, something we asked the actor about earlier this year, was met with a quick rebuff of "I’m not going to talk about any of that stuff." Some may remember that Aronofsky was at one point developing a Batman movie with Frank Miller, and The Wolverine will be his first attempt to direct a studio franchise film. We wondered about how that experience may have differed from this one and he told us, "I was really trying to make ‘The Fountain’ at the time and that’s what I was doing so I wasn’t very focused on (Batman), I was focused on making ‘The Fountain,’ and then after that, they went off and made the film that they did and it’s great." Look for our full interview with Aronofsky talking about his great new movie Black Swan, opening in select cities on December 3, over on ComingSoon.net, sometime after Thanksgiving.